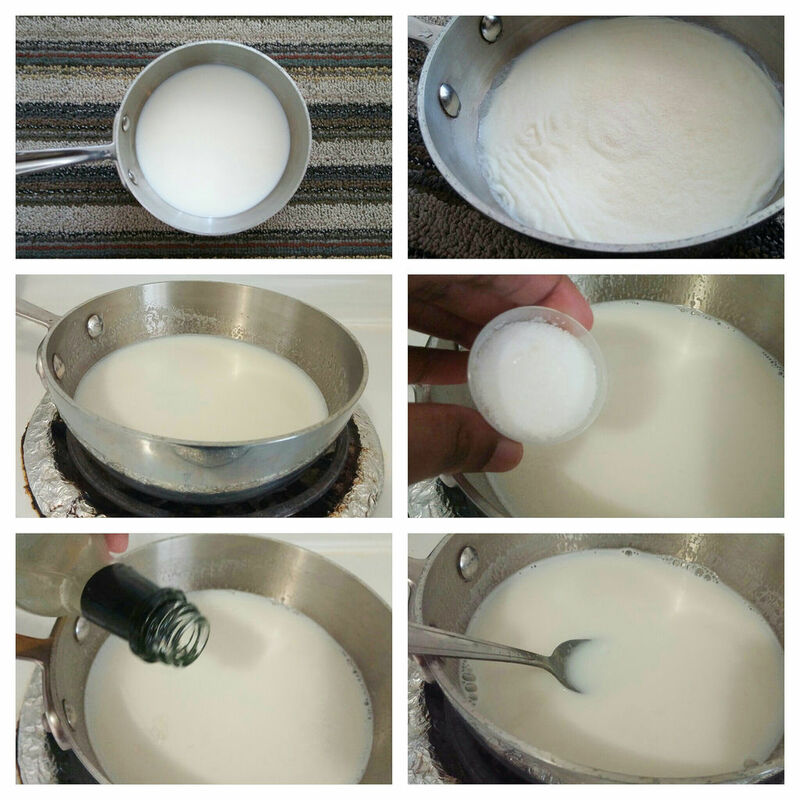 Take a cup of milk and gelatin in a saucepan. Mix well. Cook and stir on medium-low flame until the gelatin dissolved completely. Add sugar and vanilla extract, mix all well and remove the saucepan from the heat. Now add the remaining cup of milk and condensed milk to the heated milk, combine all together. 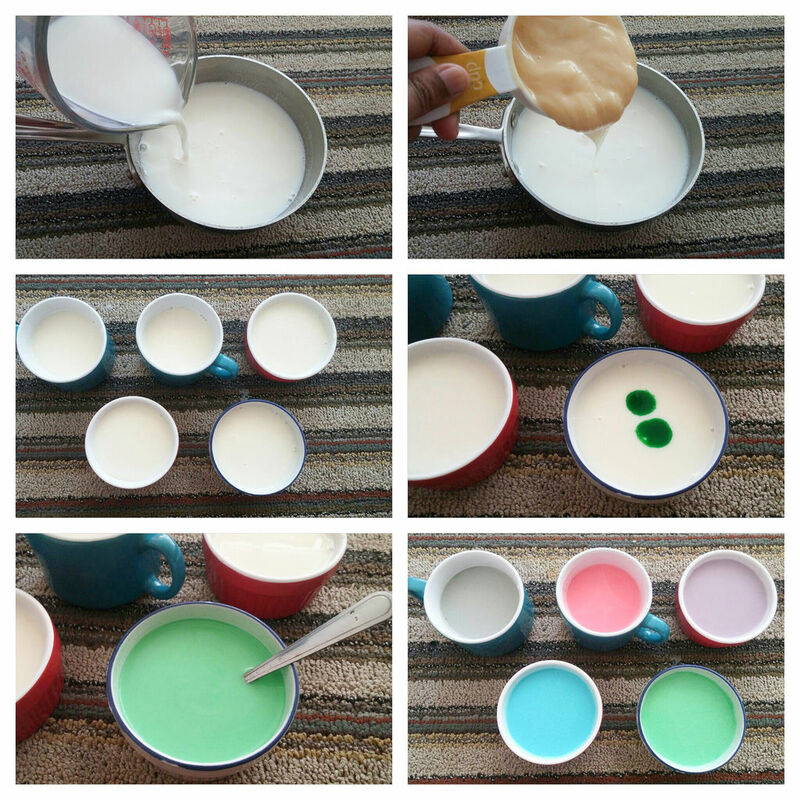 Divide the mixture equally to 6 cups/bowls. 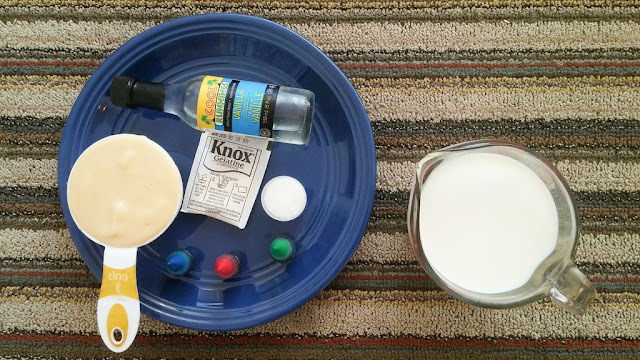 Add few drops of different food color in all bowls and mix. 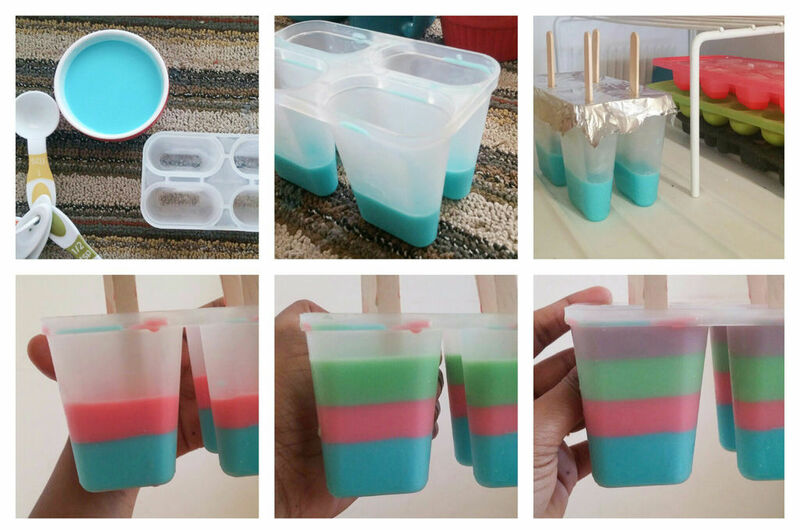 Pour a colored mixture equally in all popsicle molds and freeze it for 15 minutes. 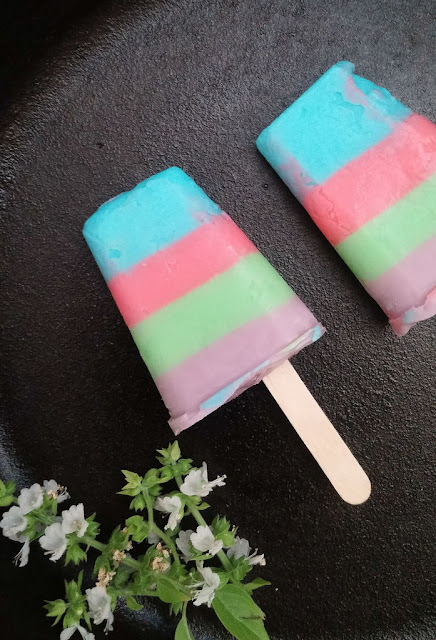 Once the bottom layer set, add another layer of colored mixture in all molds and freeze again. Repeat the process until you reach the top of mold. Freeze the popsicles for 4 hours or overnight. Once it completely set, just pass the mold under the tap water for some second. 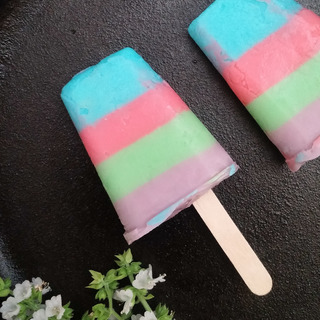 Pull the popsicle from the mold.